Born in a village in Maharashtra’s Kolaba district on September 11, 1895. He was drawn to Mahatma Gandhi and his unique “weapon-less-war” as a youth. 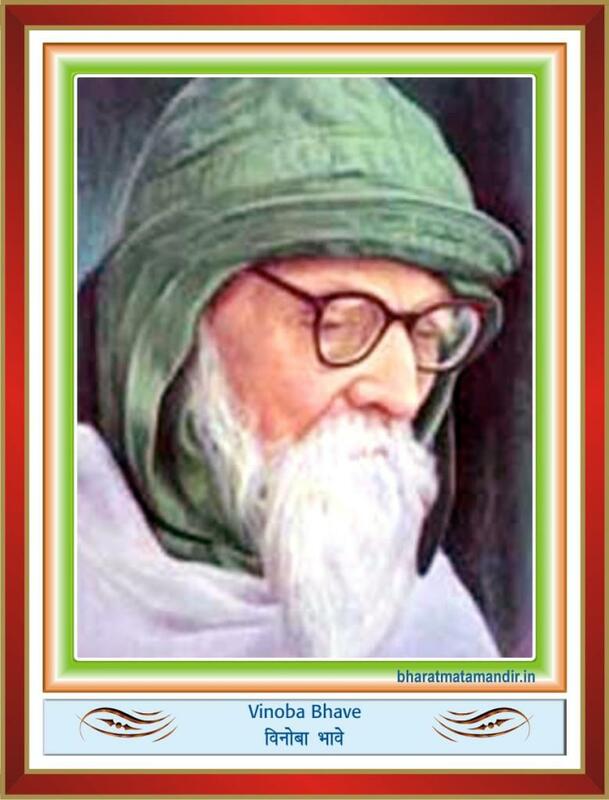 Acharya Vinoba Bhave was a scholar, saint, man of God, moral tribune, beacon of hope and solace to millions in India and abroad. Vinobaji ran many movements like Bhoodan (Gift of Land), Sampattidan (Gift of Wealth), and Jeevandan (Gift of Life). Vinobaji’s talks on the Bhagvad Gita delivered in jail are innovative and inspiring. He believed in universal spinning being the central activity which would remove the poverty in the villages. He abolished every trace of untouchability from his heart. He believed in communal amity. In order to know the best mind of Islam he gave one year to the study of Koran in the original. He found this study necessary for cultivating contact with the Muslims living in the neighbourhood. Of the many teachings of the Gita which Vinobaji highlighted in his talks, one of the most important was the role of self-help. In December 23, 1932, he shifted to Nalwadi where he experimented with his idea of supporting himself by spinning alone. In 1940 he was chosen by Gandhi to be the first Individual Satyagrahi. Vinoba Bhave also participated in the Quit India Movement. After independence he started social reform movements such as Bhoodan Movement and Sarvodaya Movement. He also made some notorious dacoits of Chambal surrender. Vinobaji passed away at Paaunar on November 17, 1982. He was posthumously honoured with the Bharat Ratna Award in 1984.